Nearly 200 attendees from national labs, industry, utilities, reactor design firms, and international development companies gathered at ORNL’s latest molten salt reactor workshop. Alan Icenhour, ORNL’s associate laboratory director for nuclear science and engineering, addresses the crowd at the lab’s 2016 molten salt reactor workshop. November 8, 2016 – Renewed interest in molten salt technology was evident at a recent gathering of advanced nuclear reactor experts at the US Department of Energy’s (DOE’s) Oak Ridge National Laboratory (ORNL). 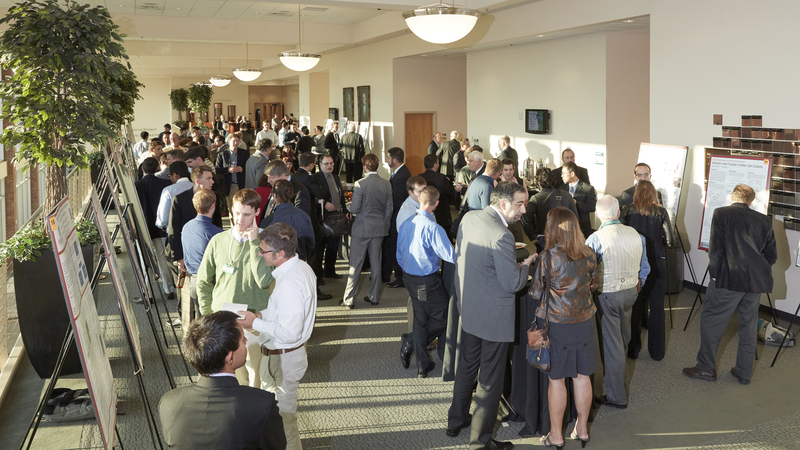 Nearly 200 attendees from national labs, industry, utilities, reactor design firms, and international development companies shared progress in molten salt technology with the hope that their work will move molten salt reactors (MSRs) from concept to construction in the coming years. The October 4–5 workshop, “Moving MSRs Forward—The Next Steps”, included presentations and roundtable discussions focused on work that took place in the last year and challenges facing the molten salt community in further developing the technology. 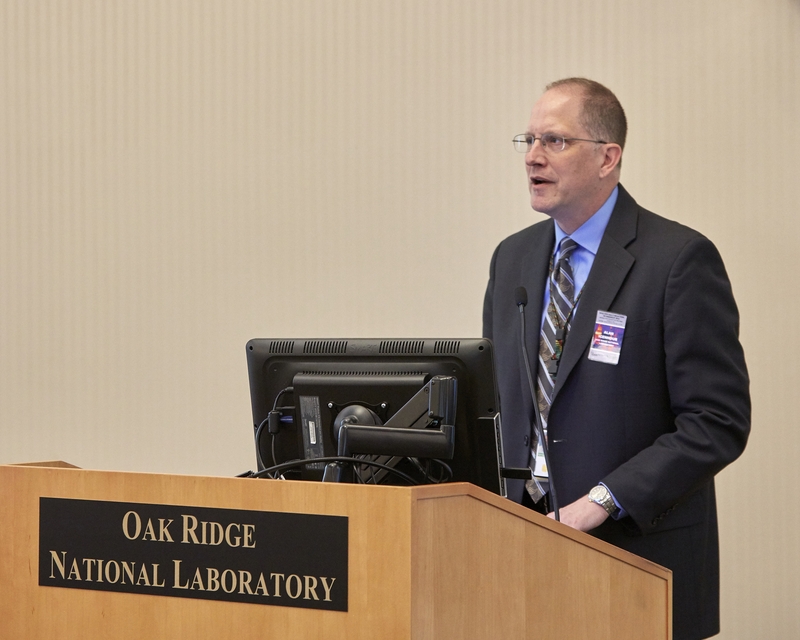 This year’s meeting was the successor to the inaugural 2015 workshop that commemorated the 50th anniversary of the startup of the Molten Salt Reactor Experiment (MSRE) at ORNL. The ability to provide less expensive and more efficient operation in comparison to the current fleet of nuclear reactors is what is driving interest in MSRs—one of several generation IV designs that have potential for future construction. In addition, most reactors used today will close between 2030 and 2050 unless licenses are extended, and that energy will have to be replaced by utilities worldwide. During one of the first sessions of the workshop, representatives from the Electric Power Research Institute, Nuclear Energy Institute, Southern Company, and Breakthrough Institute detailed efforts each of their organizations are taking in MSR development. To further this goal, the DOE Office of Nuclear Energy (DOE-NE) has taken a hands-on approach to bringing the nuclear community together to improve sharing of knowledge around advanced reactors. A part of that involves connecting the public and private sectors through a new initiative called the Gateway for Accelerated Innovation in Nuclear (GAIN). Launched in 2015, GAIN’s primary focus is to provide private entities better access to the technical, regulatory and financial support necessary to move innovative technologies toward commercialization. Multiple companies—including MSR workshop participants Terrestrial Energy USA Ltd. and Transatomic Power Corporation—have been awarded vouchers through the program to assist their efforts in nuclear innovation. “Getting together and sharing common issues that the teams are trying to solve is important, and that’s why events like this are vital,” said Rita Baranwal, GAIN director. "GAIN provides access to national laboratory capabilities that these developers can take advantage of to find solutions to these issues." John Kotek, acting assistant secretary for DOE-NE, gave one of the workshop’s keynote addresses and discussed a wide range of topics related to MSRs. He applauded the work that has been completed and highlighted his organization’s goal of eliminating roadblocks for development in advanced reactors. Following Kotek’s speech, researchers focused on the recent startup of the high-temperature fluoride salt pumped test loop at ORNL as a milestone in MSR development. The loop is the largest to be put into operation since the 1970s and will test several concepts for cooling an MSR core. As the workshop came to a close, Alan Icenhour, associate laboratory director for the Nuclear Science and Engineering Directorate at ORNL, took a straw poll on interest in a possible third MSR workshop. The informal vote was unanimous, as it was in 2015. The 2016 workshop was sponsored in part by DOE-NE through GAIN. ORNL is managed by UT-Battelle for the Department of Energy’s Office of Science, the single largest supporter of basic research in the physical sciences in the United States. DOE’s Office of Science is working to address some of the most pressing challenges of our time. For more information, please visit science.energy.gov.